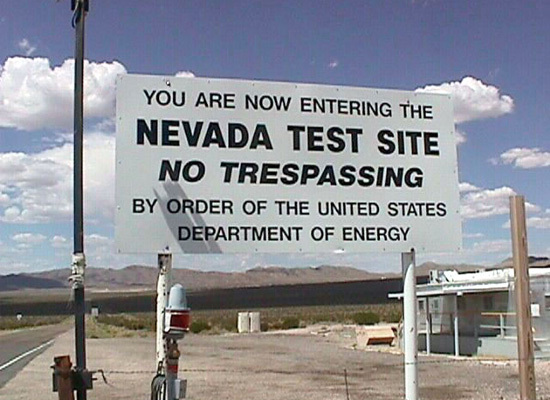 On a whim, I went to see if new tour dates have opened up for the Nevada National Security Site Tours. Every year, whenever I remember to check, the schedule has already filled up, or at least those days when I can make a trip. Not this year, as it seems all dates next year are still available. Frenchman Flat, where on January 27, 1951, the first atmospheric nuclear test on the Nevada National Security Site, ABLE, took place. Thirteen subsequent atmospheric nuclear tests were conducted at the site between 1951 and 1962. Control Point-1 was the command post used for conducting nuclear tests. Today, it plays an important role supporting other Nevada National Security Site missions. News Nob was a viewpoint from which journalists and visiting dignitaries witnessed atmospheric tests. Sedan was a cratering experiment as part of the Plowshare program - the peaceful uses of nuclear explosives. 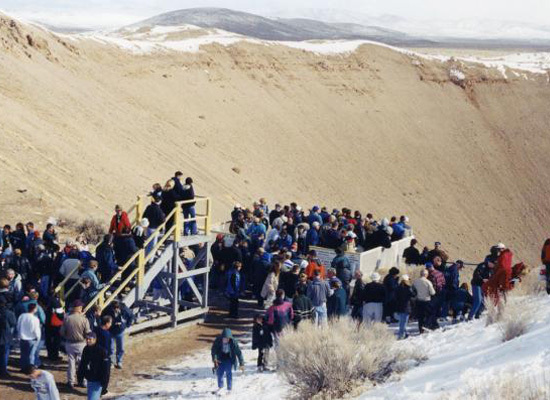 The 104-kiloton nuclear device explosion displaced about 12 million tons of earth, creating a crater 1,280 feet in diameter and 320 feet deep. This underground test was conducted on July 6, 1962. Of course, this still being a restricted access government area, you must send in your registration paperwork way in advance for a background check. I sent mine in for December 12, 2013, so fingers crossed, and if yours and mine are confirmed, I'll meet you there and then. Now if only helicopter tours were allowed above Dugway Proving Ground.